Any questions or promotion, please contact me. 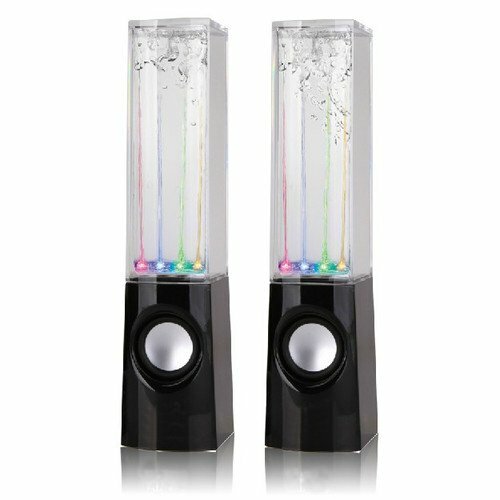 The product is generous and beautiful, with two Hi- fi speaker, new design , good sound quality, Built-in water fountain, according to the rhythm of the music to the ups and downs changes, lighting effects, can be described as a combination of practical and artistic. 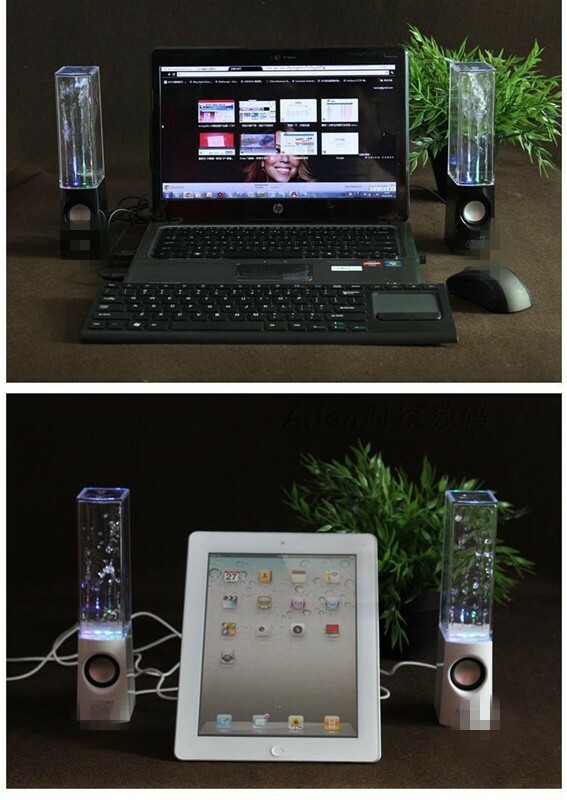 Amplifier IC output power of 3W speakers X2, high-quality anti-breaking sound function. 2) 3.5 audio plug. 2.1 channel with anti-break the sound function. 4) The 3.5mm audio jack, compatible with all the music player, laptop, desktop, netbook and other devices with 3.5 audio output. 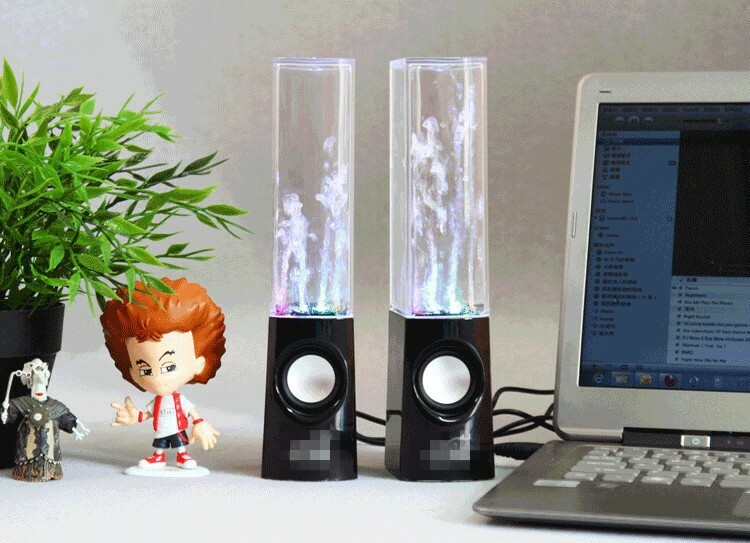 As for the USB cable can be used to MP3/MP4 cellphone, other equipments with 3.5 audio output.